Larken Bunce, MS is a clinical herbalist, educator, writer, gardener, and photographer. She is founding co-director and core faculty at Vermont Center for Integrative Herbalism, which runs a full-time sliding-scale community clinic and a 3-year training program for clinical herbalists. Her practice and teaching draw equally from science and spirit, novel practice and tradition, clinic and garden, reflecting her diverse experiences in over 20 years in the field. She holds a Master of Science in Clinical Herbal Medicine from MUIH (previously Tai Sophia Institute), as well as certificates in Zen Shiatsu, Swedish/Esalen Massage, and Mind-Body Skills. She is currently working towards an MS in Mental Health Counseling, focusing on the intersections of liberation psychology, ecopsychology, trauma studies and somatic therapies. Larken is passionate about clinical mentorship, bridging traditional healing models with biomedical sciences, and restoring Nature to culture through herbal medicine. Corinne Boyer is a folk herbalist, teacher, and writer with a passion for traditions surrounding plants and folk magic. She has been studying and working with plants since 1998. Corinne has taught community herb classes since 2005 and teaches weekly classes out of her home with a focus on wild crafting, medicine making, plant lore, folk medicine and magic. Rhonda Lee Grantham is a midwife, herbalist, member of the Cowlitz Indian Tribe, and founder of the Center for Indigenous Midwifery. For over two decades, she has been actively catching babies and teaching within tribal communities, both at home and globally. She is honored to serve alongside Indigenous midwives and healers in dedication of her organization's mission, "Strengthening indigenous communities by bridging access to health care resources and emergency skills training, while honoring & reclaiming Indigenous midwifery care." Emily Peters is a clinical herbalist, holistic health educator, educator, medicine maker, and a plant ally currently based in Vancouver BC, Coast Salish Territory. She views herbalism as deeply rooted in the relationship with the local land-base, and in the desire to create autonomous, healthy communities. She wants to meet people where they’re at in terms of barriers to resources, experience, identity, etc, and she aspires to create a healing space for all. Emily recognizes community based holistic health as a tangible step towards collective liberation within exploitative and oppressive systems. Emily’s practice of herbalism is based on knowledge from Western Herbalism traditions and energetic assessment tools from Chinese Medicine. She uses mostly western herbs, with an emphasis on local plants, while integrating a system of energetics from Classical Chinese Medicine to better understand the patterns of imbalance in each person. GaChing Kong has worked in alternative health, social justice, education, organic gardening, and counseling therapy. Since 2008, GaChing initiated accessible health care clinics for Indigenous communities in Canada that provided acupuncture, food gardens and herbal medicine to assist with trauma, chronic illness and addictions. In 2013, GaChing began apprenticing as a curandera with South American medicinal plants, and has recently returned from Peru having completed 3 years of dieta with master plants. ​ She has recently given up the titles of shaman and healer to live life as her Self. Somewhere out there is an interdimensional party celebrating the rebirth of this planet and its people, and she is the DJ. Janet Kent is a land-tied herbalist, gardener and educator who lives in her hand built home, off-the-grid, high in a rich Appalachian hardwood cove forest in Southern Appalachia. She sees the radical potential of herbalism to address both the need for humans to reconnect with the more-than-human world and to alleviate the crisis of conventional health care in this country. She is the co-founder of Medicine County Herbs, a medicinal and native plant nursery and apothecary and the Terra Sylva School of Botanical Medicine. 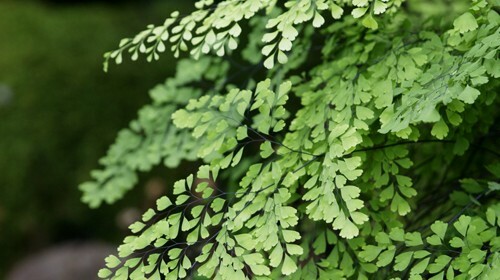 In recent years, Janet has focused on the use of herbs to support mental health. She writes on herbalism, ecology and reconnection medicine at radicalvitalism.wordpress.com. Jen Stovall works as a Community Herbalist & Health Educator in New Orleans, using a blend of Southern Folk Medicine, Western Herbalism, and harm reduction in her classes and with her clients. She is co-owner of Maypop Community Herb Shop and has a BSN-RN & a NADA Ear Acupuncture Detox Specialist & Trainer license, both of which inform her herbal practice. She has found herbalism to be both a potent tool for pursuing social justice in the world, and a powerful manifestation of the ethical and ideological path she walks in her personal life. She believes that health care should be accessible to everyone and that the most powerful strategy for this is educating and empowering people to choose their own path to health. She is constantly renewed and inspired by witnessing the magic spark that occurs when people are introduced to plant allies through consultations, herb walks, medicine making, & health education. Joyce Netishen is a healer, herbalist and gardener who loves roses and lives and works at Fire Rose Farm, a small inspired magical place where she teaches classes and apprenticeships and grows glorious plants. She has maintained a private practice for 30 plus years and is committed to the study and practice of the spirit of life, seen and unseen, through the path of the shaman and spirit of Nature. Lara Pacheco is a mamita, Latina clinical herbalist, herb farmer, wildcrafter and musician who founded Seed and Thistle Apothecary in the Cully neighborhood of Portland, OR. She is a community organizer and provides herbal educational programming with youth and adults, builds gardens, gathers oral histories,and advocacy around women's health and access to alternative medicine for the underserved by working to co develop the Seasonal Wellness Clinic. Lara first learned from the plants, the farm, forest and field and then studied with the School of Traditional Western Herbalism's 3 year clinical program and with Scott Kloos in the realm of plant spirit medicine. 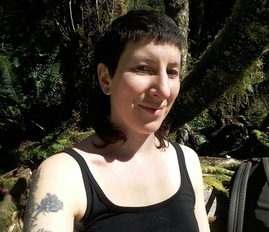 Larkin Schmiedl is a trans & queer clinically-trained herbalist and medicine-maker who loves wildcrafting and hanging out on the land staring at the minute details of nature, being held sway in fascination. He practices plant and animal magic and is passionate about wild food and medicine as a gateway to deeper connection. He's been hanging out with plants in this part of the world for 15 years and studied western herbalism at the Wild Seed school on Salt Spring Island. Larkin hopes to continue building resources for herbalists around trans health. Linden de Voil I am a clinical herbalist and health educator, practicing at Bear Root Apothecary and Wellness Center in Port Townsend, WA. I’m a graduate of the Blue Otter School of Herbal Medicine and the three-year clinical herbalist program at the Vermont Center for Integrative Herbalism, and a professional member of the American Herbalists Guild. In additional my clinical work, I serve as education director for a local botanical extract manufacturer, supporting naturopaths and other physicians to integrate effective herbal protocols into a functional medicine approach. Meg Cur is a homesteader, wildcrafter, and community herbalist. She has been devoted to Pacific Northwest plants and their medicines for ten years, and has studied at the School of Traditional Western Herbalism and Wild Seed School of Herbal Studies. She is deeply excited to take part in promoting a folk culture around knowledge of, and respect for, land-based skills. She is the curator of a skills project called Crow’s Nest Wildcraft, and travels to share herbal medicine and other skills with others. Meg is a settler on unceded territories, on a vibrant island in the Salish Sea, where she strives to make plant medicines accessible to her community and beyond. 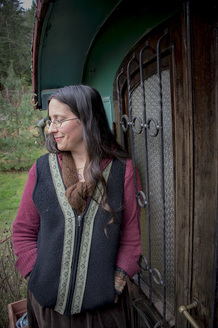 Missy Rohs is a community herbalist, kitchen witch, and forest lover. She is co-founder and co-instructor of the Arctos School of Herbal & Botanical Studies (https://arctosschool.org). She grows and wildcrafts her herbs with a focus on sustainable herbal remedies: those that grow easily in populated habitats, and those that can be harvested in the wild with minimal impact. Missy's path to herbal teaching has taken her from grassroots organizing through the world of being a street medic to providing care in free clinics from Nicaragua to Portland. Somewhere along the way, she fell for plants hard and fast and hasn't looked back. A life-long lover of weeds as well as community empowerment, Missy looks for remedies close to home that nourish the body, the ecology, and the community. Orna Izakson is a writer, gardener, herbalist and naturopathic physician in Portland, Oregon. She runs Celilo Natural Health Center in Northeast Portland, is Lead Physician of the Traditional Roots Institute at National University of Natural Medicine, and is on the board of advisors of the Herbal Anthropology Project. Orna is an award‐winning environmental journalist who worked as both a staff reporter and freelance correspondent for newspapers, magazines and online media. Her love for wild places brought her to the plants, for whom she now endeavors to speak. ﻿Paul Bergner has studied and practiced natural medicine, medical herbalism, clinical nutrition and nature cure since 1973. He is director of the North American Institute of Medical Herbalism in Portland, OR where he offers seminar training in clinical skills, medical herbalism, nutrition and nature cure. ​He supervised a teaching clinic in medical herbalism and clinical nutrition in Boulder, CO from 1996 until 2013 and has published and edited the Medical Herbalism journal since 1989. He has authored seven books on medical herbalism, clinical nutrition, ethnobotany and naturopathic medicine. Sean Croke is a wildcrafter, medicine maker, and gardener who has been working with the plants of the Pacific Northwest for a decade. He is a co-founder of Understory Apothecary which produces small batch tinctures of local herbs, and is also involved in Cascadia Terroir which produces essential oils from native plants. He is a graduate of The Evergreen State College with a BA/BS where he focused on Ethnobotany and Organic Chemistry. He has studied wildcrafting and plant spirit medicine with the School of Forest Medicine and studied under Sean Donahue. Sean can be found vending at the Olympia Farmer's Market, is the medicine maker for the Olympia Free Herbal Clinic, and runs the Hawthorn School of Plant Medicine. You can learn more about Sean’s products and teaching schedule at www.understoryapothecary.com. Stascha Stahl is a clinical herbalist based in Oakland, California. She has been studying herbal medicine since 2006. She has studied with Juliet Blankespoor, Jasmyn Clift, Joshua Muscat, Mimi Kamp, and Chuck Garcia, among others. She aims to empower people to feel more connection with plants and help them improve their overall well-being. Her approach is client-centered, working with each person on their unique goals. She is continuously working towards combining herbalism with social and ecological struggles. Stascha spends her time ethically wildcrafting plants along the west coast and making herbal medicines for her clients and community. She draws from a materia medica of about 300 herbs and flower essences. Tania Neubauer began her healthcare career as a community health worker and counselor at the Berkeley Free Clinic, and as an herbalist and massage therapist. Her interest in holistic medicine and making it accessible to all people led her to a calling to become a physician. After completing her training as a naturopathic doctor in Portland, she worked in a clinic run by Natural Doctors International inside a public hospital in rural Nicaragua. On returning to Oregon, she worked at La Clinica de Guadalupe in Salem before joining Virginia Garcia, a nonprofit clinic, where she works primarily with Spanish-speaking and low-income patients. She is on the faculty of the North American Institute of Medical Herbalism and the Colorado School of Clinical Herbalism. She is associate editor of the journal Medical Herbalism. She completed a certificate of clinical herbalism at the Southwest School of Botanical Medicine with Michael Moore. She also studied herbalism with the Pacific School of Herbal Medicine, with Karyn Sanders, and with the California School of Traditional Hispanic Herbalism.